Just one day after announcing its plans to acquire interactive agency Resource/Ammirati, IBM today revealed it had finalized another deal to boost its digital marketing offerings, this time raking in a handful of The Weather Company's mobile and cloud-based Web properties. Financial details were not disclosed for the agreement, which was first revealed three months ago. This development doesn't mark IBM's first notable investment into big data. In recent months, IBM has partnered with Twitter and Facebook to bolster its burgeoning wealth of data. Yet the purchase of The Weather Company—which helps retailers like Walmart target real-time mobile offers based on current weather conditions—is clearly a shot across the bow when it comes to Big Blue's chief competitors Oracle, Adobe and Salesforce. IBM will now have access to the popular Weather Channel mobile app (the fourth most-used mobile app in the U.S., according to IBM), Weather.com and the Weather Channel brand, but will not include the Weather Channel TV network. The deal does, however, give IBM access to a huge amount of the network's data and analytics, which will presumably be used to deliver new and improved marketing strategies for its clients moving forward. "The Weather Company's extremely high-volume data platform, coupled with IBM Cloud and advanced cognitive computing capabilities of Watson, is unsurpassed in the Internet of Things," John E. Kelly, IBM's svp, said in a statement. "This rich platform provides our clients significant competitive advantage as they link their business and sensor data with weather and other pertinent information in real-time." 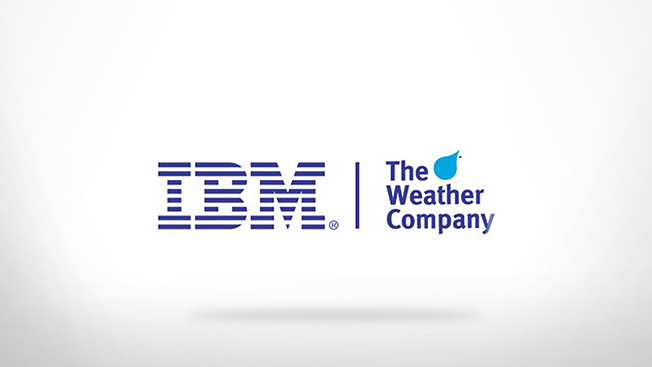 The deal will run The Weather Company's cloud data platform on IBM's Cloud data centers, and will help IBM fulfill an earlier $3 billion commitment to develop Internet of Things services. Other stipulations in the deal include the appointment of The Weather Company chairman and CEO David Kenny to the head of IBM's Watson business. The deal also includes the expansion of the Weather.com platform into China, India, Brazil, Mexico and Japan. Kelly noted: "We can arm entire industries with deep multimodal insights to help enterprises gain clarity and take action on the oceans of data being generated around them." It will be interesting to see how—if at all—Oracle, Adobe and Salesforce react, as the four companies jostle for digital marketing services supremacy. The players have been in a veritable arms race for the last few years, acquiring tech vendors like Eloqua, Silverpop, Buddy Media, etc.